AD-FREE ARCHIVES. From the minds of Owen Burke (Funny or Die) and Adam McKay (Anchorman, Step Brothers, Talladega Nights). Owen stays up on current events and TJ, a cell phone case salesman and aspiring hip hop artist, is more interested in what's going on at the Hooters down at the Jacksonville, FL CityWalk. 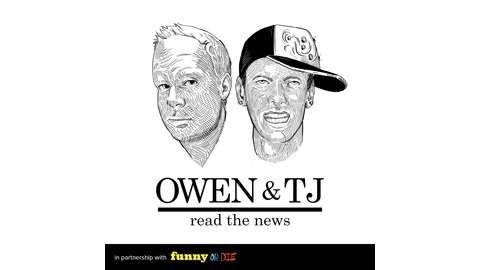 On Owen & TJ Read the News they discuss the top stories of the month together. 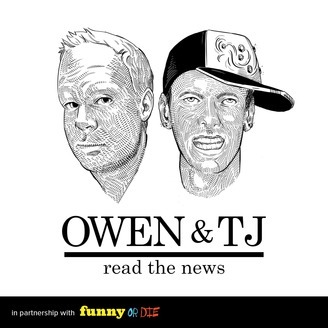 Owen & TJ are ready to discuss the recent U.S government shutdown until they are quickly interrupted by Leonard (Ian Roberts), a mentally challenged member of TJ's new posse. Will they be able to stay on topic or will they instead focus on the 11 year old boy TJ & Leonard have been mentoring? Tune in to find out!